It is important that you pick–up Registration Packets from the Counseling Office on the assigned packet pick-up dates. Please read all Registration forms below and complete the “Signature Verification form” along with all other "Mandatory Forms" found in your packets. Signing and returning these forms is mandatory for registration and acknowledges that you have received and read all of the required information. 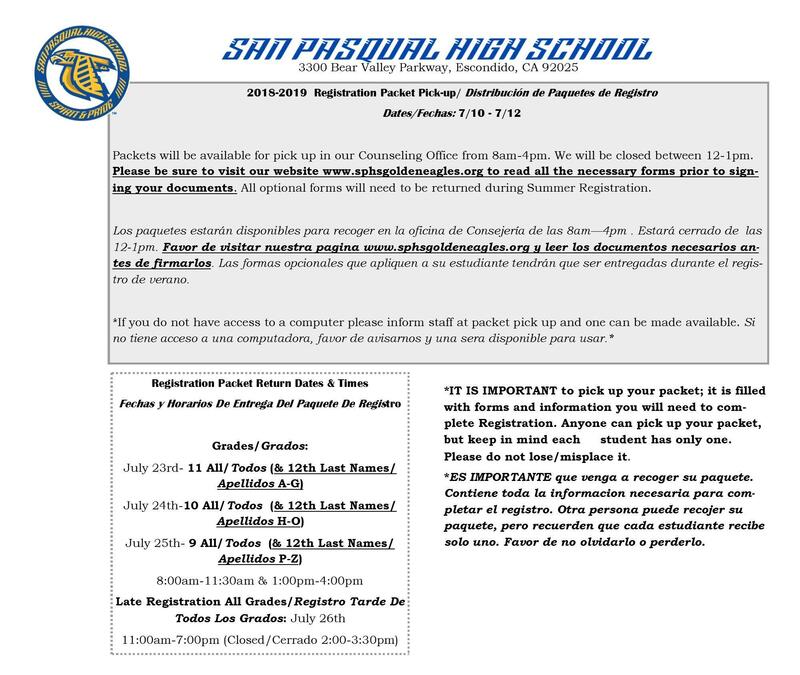 * Registration forms are provided in two sections below, one in English and one in Spanish. **1 form of Residency verification is required. Please see PDF for more information. ***The Diploma Card is only required for Seniors in the class of 2019. *Please select "Registration Forms - English" or "Registration Forms - Spanish" from the right side of this page to view the documents.